Horseback riding, pack trips, fishing and hunting. Guided tours to Crystal City, the Crystal Mill, Lead King Basin, and more. Classic mountain style barbecue restaurant and the only restaurant in Marble. Bring your discs or borrow ours. Maps available at the Lodge. Tour the historic home of John Cleveland Osgood. The Marble gallery showcases many handmade items created by local Colorado artists. Offering one of a kind, original art. Learn to carve Colorado Yule Marble in an open-air mountain setting. Professional instruction, workshop demonstrations and tools provided. Voted best Colorado Trail Race. Held on a Sunday in mid September. Great food! Great schwag! Geat prizes! 100% of proceeds donated to the Marble Charter School! Fishing Licenses, tackle, ice cream, beer, and more. Amazing aerial shots of Western Colorado. Guaranteed Relief through stretching, body work and deep massage. She is incredible! Listing activities and attractions for Marble, CO. 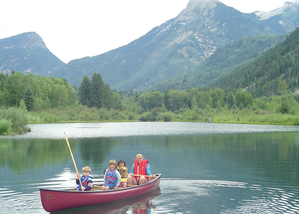 Listing activities and attractions for the state of Colorado. Her fabulous landscape and lifestyle photographs are featured all over this site, essentially if its amazing, it's hers.